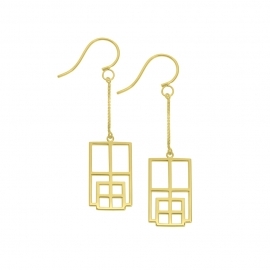 Discover the earrings of my different collections. Earrings There are 15 products. 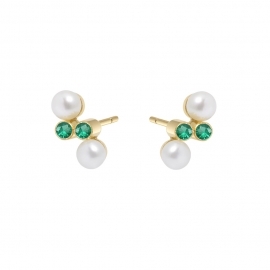 The delicate stud earrings of the Eternal kô collection are handcrafted in 18 carats solid yellow gold and set with emeralds and pearls. Our collection "Eternal Kô" in 18 carats solid gold, a dialogue between past and present, classic and contemporary, pays tribute to the artistic genius of my great-grandmother, Suzanne, painter and lover of beauty! 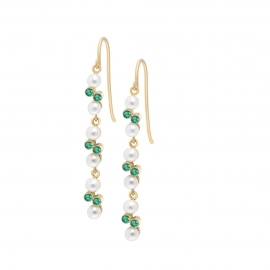 The delicate earrings of the Eternal kô collection are handcrafted in 18 carats solid yellow gold and set with emeralds and pearls. Our collection "Eternal Kô" in 18 carats solid gold, a dialogue between past and present, classic and contemporary, pays tribute to the artistic genius of my great-grandmother, Suzanne, painter and lover of beauty! The delicate earrings of the Eternal kô collection are handcrafted in 18 carats solid yellow gold and set with diamonds and pearls. Our collection "Eternal Kô" in 18 carats solid gold, a dialogue between past and present, classic and contemporary, pays tribute to the artistic genius of my great-grandmother, Suzanne, painter and lover of beauty! The delicate stud earrings of the Eternal kô collection are handcrafted in 18 carats solid yellow gold and set with diamonds and pearls. 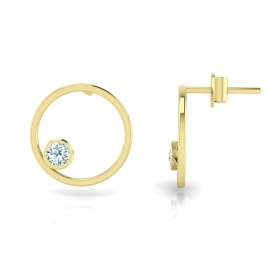 Our collection "Eternal Kô" in 18 carats solid gold, a dialogue between past and present, classic and contemporary, pays tribute to the artistic genius of my great-grandmother, Suzanne, painter and lover of beauty! 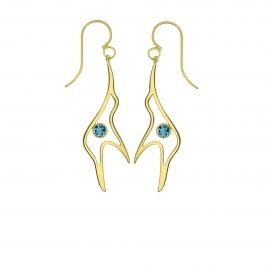 The Lovely earrings are handcrafted in our studio in 18 carats yellow gold plated silver and set with a blue London topaz.The hummingbird is at the centre of this collection. 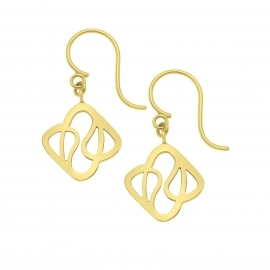 I chose to work with lightness, delicacy and refinement for this collection dedicated to love. The Lovely necklace is handcrafted in our studio in 18 carats yellow gold plated silver.The hummingbird is at the centre of this collection. I chose to work with lightness, delicacy and refinement for this collection dedicated to love. 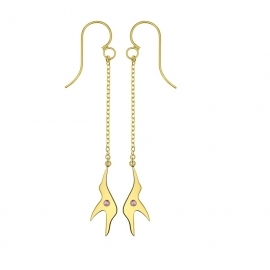 The Lovely earrings are handcrafted in our studio in 18 carats yellow gold plated silver and set with pink tourmalines.The hummingbird is at the centre of this collection. I chose to work with lightness, delicacy and refinement for this collection dedicated to love. 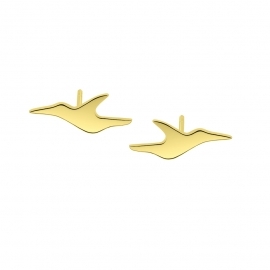 The Lovely earrings are handcrafted in our studio in 18 carats yellow gold plated silver.The hummingbird is at the centre of this collection. I chose to work with lightness, delicacy and refinement for this collection dedicated to love. "Reflet" collection. 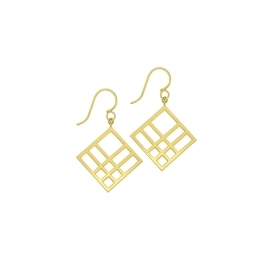 Enora Antoine offers an elegant and contemporary collection inspired bu Japanese architecture combining geometry, delicacy and lightness. .
Earrings of the Déclinaison – Matière Première collection in yellow gold plated silver. Inspired by organic and abstract lines, Enora Antoine offers you a pendant which can be worn everyday, timelessly. 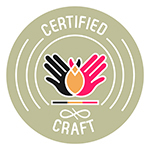 Handcrafted in Belgium, this jewel will be sent in a pretty box.